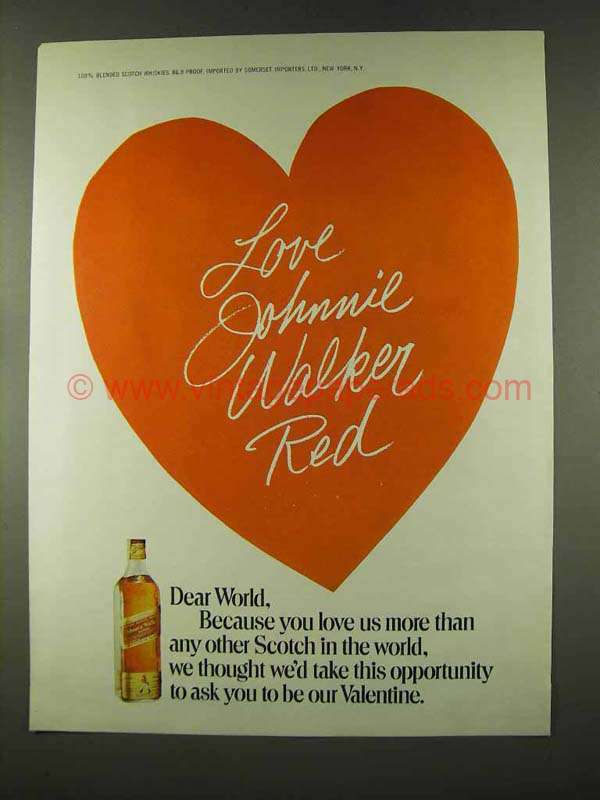 This is a 1973 ad for a Johnnie Walker Red Scotch! The size of the ad is approximately 8.5x11inches. The caption for this ad is 'Dear World. Because you love us more than any other Scotch in the world, we thought we'd take this opportunity to ask you to be our Valentine' The ad is in great condition. This vintage ad would look great framed and displayed! Add it to your collecction today!